Jay MantriNikhil Arora (left) and Alejandro Velez founded Back to the Roots nearly 10 years ago. They are using a partnership with Scotts Miracle-Gro and Acre Ventures to bring their mushroom kits and other ready-to-grow products to more retail stores nationwide. Back to the Roots, which sells ready-to-grow mushroom kits and other products, has received $US4 million in funding to expand its distribution nationwide. The startup has also signed a licensing agreement with Nature’s Path to bring its organic cereal to public schools all around the US. 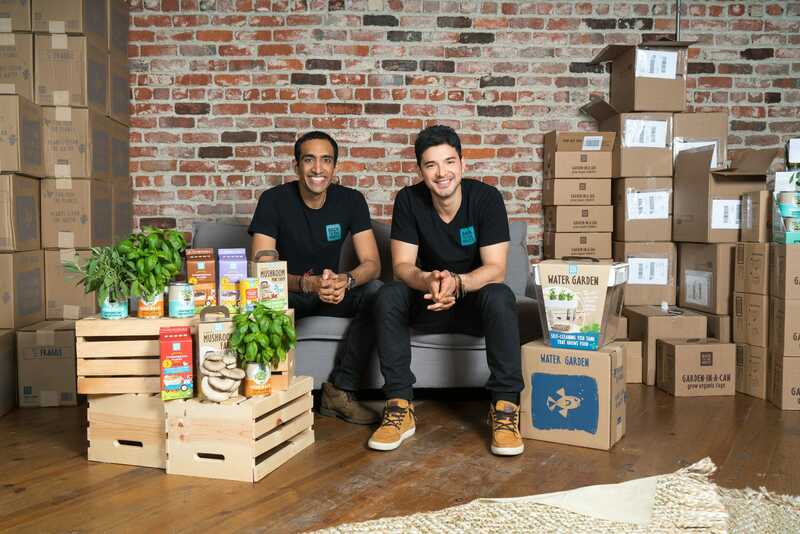 Co-founder Alejandro Velez said the startup is targeting millennial parents, who want to know how their food is made and often have little space for gardening. Back to the Roots also focuses on educating children about sustainability and where food comes from. Before Alejandro Velez and Nikhil Arora founded Back to the Roots nearly 10 years ago, they were growing mushrooms in a fraternity kitchen at University of California, Berkeley. Now a $US4 million investment led by Acre Ventures and Scotts Miracle-Gro – the largest lawn and garden company in the world – will help the startup bring its mushroom kits and other ready-to-grow products (including tomato kits and aquaponic fish tanks) to a greater number of retailers. The startup was already partnering with retailers like Target and Costco, but the money will allow it to sell products in more of their stores. This funding follows a $US10 million investment made in 2016. Velez told Business Insider that the investment will allow Back to the Roots to reach more customers than before. The startup is targeting millennial parents, who tend to seek out organic food and want know how their food is made. Its ready-to-grow products are compact enough to be used indoors, which makes them accessible to people with little or no space for gardening. While Back to the Roots’ revenue comes largely from retail stores, Velez wants to educate children about the process of making food. Many children believe food is made in grocery stores or trucks; Velez recalled speaking with a boy who did not recognise a pear because it was not cut up in squares – the only form he had ever seen it in. Back to the Roots has also signed a licensing agreement with Nature’s Path, allowing North America’s largest organic cereal brand to manufacture and distribute the startup’s organic cereal all around the US. For the past year and a half, more than 1 million New York public school students have had access to Back to the Roots cereal in cafeterias. The cereals contain a minimal amount of sugar have just three to four ingredients. Velez said this is the first organic cereal to be offered in a school district. In addition to New York, the organic cereal is already available schools in San Jose, California; Boulder, Colorado; and Austin, Texas. Back to the Roots is also in talks with the Urban School Food Alliance, which supplies food to the 10 largest school districts in the US, about a partnership. Velez said the indoor gardening kits have been approved as educational materials in 1,500 schools, and the upcoming expansion will help more students connect what they are learning to what they are eating. As Back to the Roots expands its ready-to-grow products for more adults to buy in retail stores, Velez said he hopes to one day create garden programs in every American school and to provide better food to all children in schools.